+ Features club, gym, swimming pools, play courts indoor games, etc. 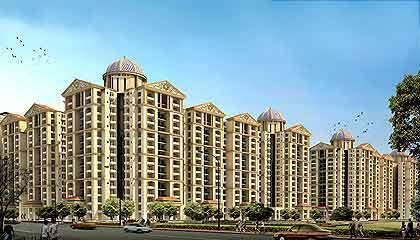 Eros Sampoornam is spread over an area of 25 acres in Sector 2 of Greater Noida and is situated on 130M eight lane wide road. Besides featuring approximately 3400 units, the project will have 80% landscaped open area. The 4 side open project is also surrounded by 100M and 60 M wide huge green belt on the both sides assuring a healthy pollution free life. It comprises of 2 and 3 BHK apartments ranging from 835 sft to 1800 sft over G+15 buildings. This premium Delhi Property has world-class amenities like large landscaped area, swimming pools, yoga and meditation center, play courts, skating area, putting green, club with gym, billiards room and space for ample parking etc. Eros Sampoornam is about 4 kms distance from NH 24 and next door neighbour to Noida, Vaishali, Indrapuram. Campuses of renowned firms like HCL, Birla Soft, Tech Mahindra, CSC, Global Logic and many more software companies at 15 minute drive distance. Institutes like IIPM , J P Institute of Technology , IMS , JSS , NIILM in close vicinity. Besides leading facilities like Ryan School, and Fortis hospital are also in close proximity.